This show is for college bound students and their parents. 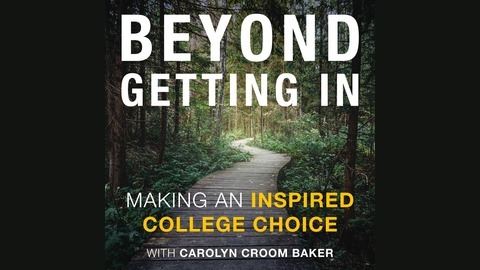 There is lots of advice out there about how to "get in" to college, but "getting in" is only the beginning of the story. 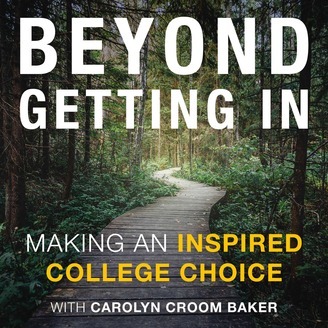 Discover how to make an INSPIRED college choice and choose the school where you will thrive, develop your talents and a place where you can become a best version of your best self. Where can you find the money to pay for your inspired college choice? With the rising cost of college, getting financial aid is more important than ever. In this episode you'll discover tips for finding financial aid. #6 Are expensive colleges really worth the money? #5 Tips for keeping your campus mood in the joy zone.